Yesterday was International Women's Day and this month is Women's History Month. So naturally, I have been thinking a lot about the remarkable women in my life and those who have had an impact on world history. I had such a great time working with Multicultural Kid Blogs on a new no-prep reading packet featuring 20 women in world history, that I felt inspired to update a free printable I created last year. 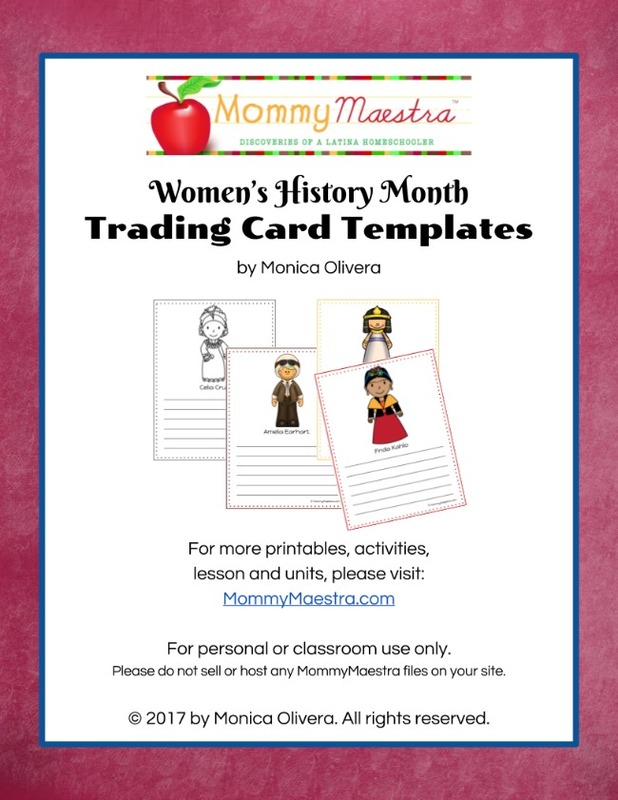 This set of trading card templates now features 20 women (instead of 18) and complements the women featured in the reading packet. There's still room for your child to fill out the details under each figure, and I've included a blank sheet in case your child prefers to choose their own historical figures. And all of them are available in full color or a printer-friendly, black-and-white version. From Cleopatra to Harriet Tubman to Malala Yousafzai, these trading cards are a way for you to introduce your children to a diverse group of influential women. Six Hispanic women are included: Isabel Allende, Celia Cruz, Sor Juana de la Cruz, Frida Kahlo, Ellen Ochoa, and Queen Isabella I. 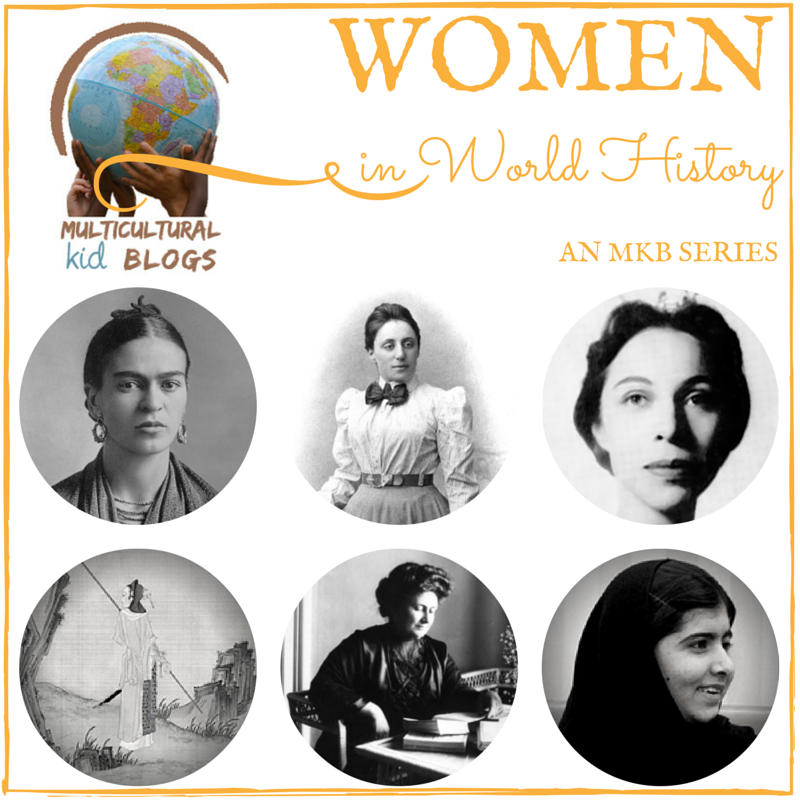 In addition, I'm super happy to be participating in MKB's annual Women in World History series! 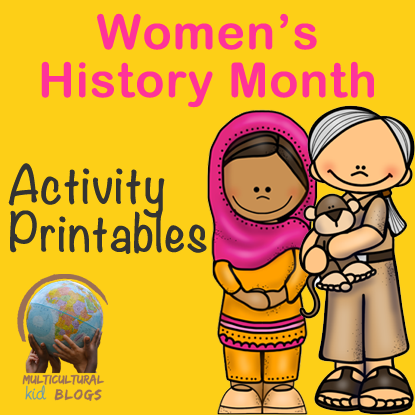 Don't miss our Women's History Month Activity Printables, on sale now!